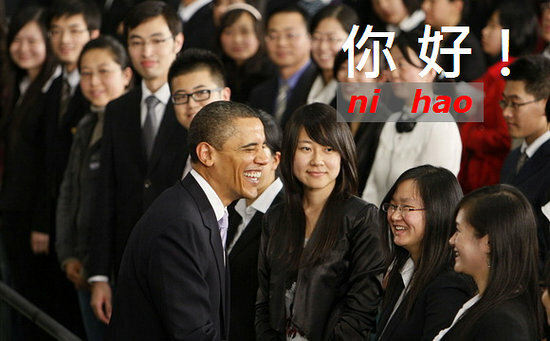 Almost every post on Obama’s G+ wall was flooded with comments from the Chinese netizens, mostly in Chinese language. Many Chinese have left words of hope for Obama to bring more freedom and democracy to China. Some used it as a platform to call attention to Chen GuangCheng, a civil rights activist in China who is placed under house arrest (remember Batman want to save him ? ). One of the Chinese netizen tell other fellows to leave comment in English, hoping more foreigners can understand what the Chinese want. But the rest are simply having fun to show that they were there to “Occupy”. 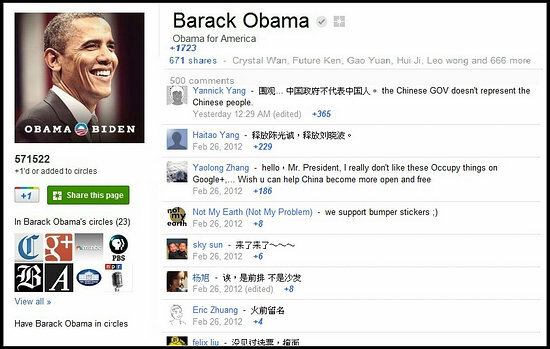 Obama’s official Google+ page has been flooded with comments from China. Some Chinese netizens posted the comments with English translation. The “unblock” has made the Chinese netizens feel excited because they seldom have the chance to connect with the world using famous social network such as Facebook and Twitter. In the mean time, the president’s page are still flooding with Chinese words which looks like the page is being spammed. No one can confirm whether Google+ is permanently unblock in China, we will keep you update on this.